This hatch marks the start of serious mayfly action on almost every major trout water in the East and Midwest in the early spring. The emergence begins in early April in the trout streams of southern Pennsylvania. It peaks in mid-May in the Catskills and late May farther north. It can linger through early June in northern areas like the Upper Peninsula of Michigan. Good action lasts from two to three weeks on any given river. Hendricksons emerge by crawling out of their nymphal skins in the surface film, and emerger patterns are ideal. The duns float for a long time before taking flight and they, too, can be important to imitate. The Hendrickson and Red Quill fly patterns were created to meet this demand in the early days of American fly fishing. 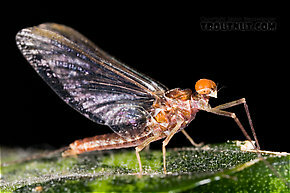 Most sources say that the females drop their eggs from high above the water and become vulnerable to trout only when they fall spent (Spent: The wing position of many aquatic insects when they fall on the water after mating. The wings of both sides lay flat on the water. The word may be used to describe insects with their wings in that position, as well as the position itself.) with the males. These can be intense events, especially on warm days when the activity is compressed into a shorter time period, about 30 minutes, near dusk. Knopp & Cormier in Mayflies: An Angler's Study of Trout Water Ephemeroptera contradict the more common story. They acknowledge that sometimes the females drop their eggs from on high, but they claim that Hendricksons more often fall to the water, not yet spent (Spent: The wing position of many aquatic insects when they fall on the water after mating. The wings of both sides lay flat on the water. The word may be used to describe insects with their wings in that position, as well as the position itself. ), before releasing their eggs. 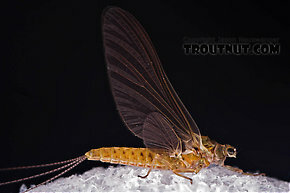 They report that trout may be selective to spinners with upright, half-spent (Spent: The wing position of many aquatic insects when they fall on the water after mating. The wings of both sides lay flat on the water. The word may be used to describe insects with their wings in that position, as well as the position itself. 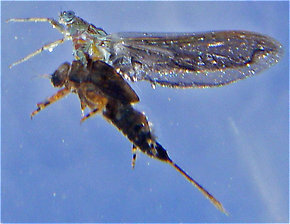 ), or spent (Spent: The wing position of many aquatic insects when they fall on the water after mating. The wings of both sides lay flat on the water. The word may be used to describe insects with their wings in that position, as well as the position itself.) wings. Some fly shops sell patterns with bright butts to imitate these egg-laden females. Current Speed: Everything except extremely fast; they move to slower water near emergence time. Substrate: Gravel, small boulders, vegetation. Swift gravelly runs are especially favored. Environmental Tolerance: Among the least tolerant species in the Ephemerellidae. They require moderate temperatures, neither too hot nor spring-fresh cold, and they cannot tolerate pollution. There is tremendous physical variation within this species, especially in the coloration of the nymphs. In Hatches II, Caucci and Nastasi describe six distinct variations on Hendrickson nymphs, and my collections show at least one more. The lesson is that the angler should study the nymphs from his own stream and carry varied imitations. 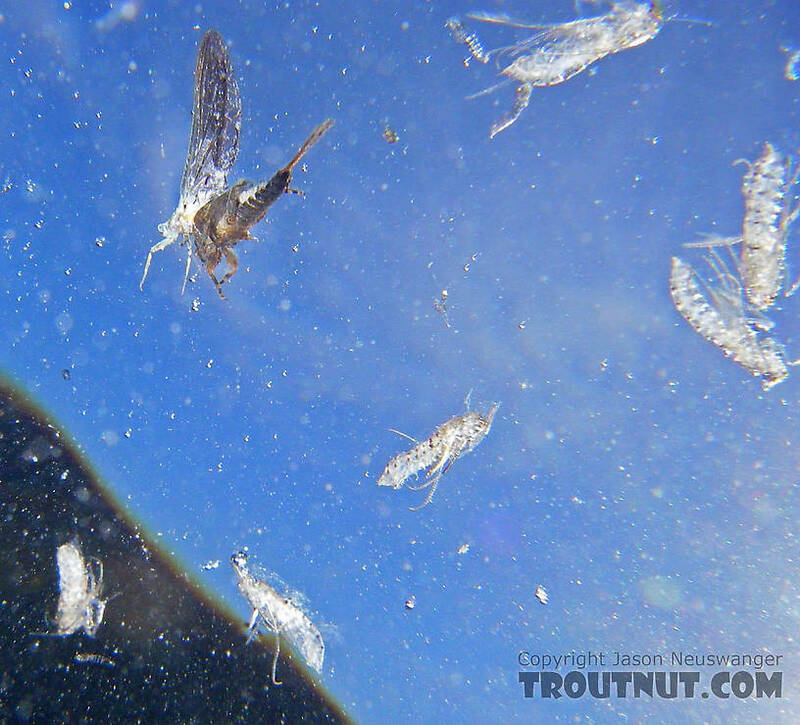 The nymphs are very active and available to trout in the hours leading up to and during the hatch, and sometimes they negate the importance of the duns. This is especially likely on cold days, according to Knopp & Cormier, who recommend fishing a wiggle nymph under such circumstances. Several authors have observed that the nymphs swim with a strong wiggle when in slow water, but they sit back and dead drift in faster currents. Our fishing should reflect this. 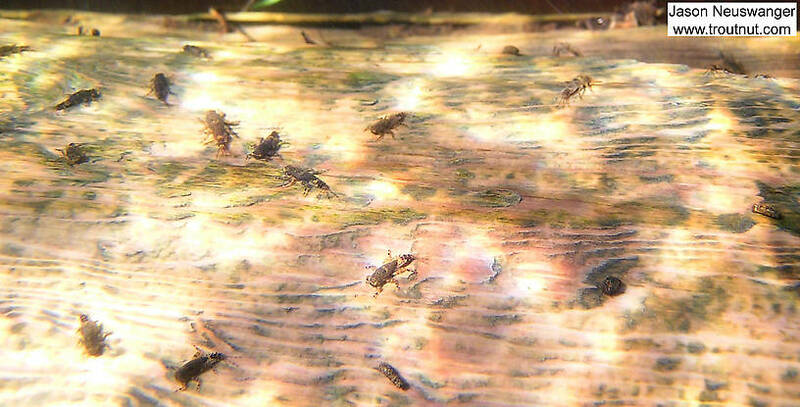 Before the hatch, the nymphs repeatedly swim up and down from the surface in what seem like "practice runs" for emergence. Sometimes they do this days or even weeks before emerging; I have seen this behavior in northern Wisconsin on March 17th, over a month before the first emergence on the river. Comparaduns, emergers, floating nymphs, and wiggle nymphs are especially recommended for this hatch. The angler should also carry a variety of patterns to match the important spinners. There are significant differences between the males and females in both size and color, and anglers should be prepared to match either one. Wet or cloudy days are traditionally regarded as good Hendrickson weather, although I have fished them under a wide array of conditions, from snowstorms to warmth and sun. If you encounter them on especially damp or stormy days, you've got good reason to try fishing a cripple (Cripple: In fly fishing, a cripple is any insect which has been injured or deformed so that it cannot escape the water. This may include stillborn emergers or fully emerged adults which have been damaged, often by wind or waves, so that they can no longer fly. Trout often favor eating crippled insects.) pattern. A crippled Hendrickson dun imitation might work just as well on a calm, bright, spring day as on a stormy one, but that gives us one less excuse to feel clever about choosing to fish one. 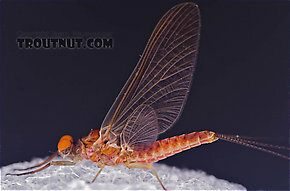 Here's another hatching mayfly, this one stillborn. Click on "31 more specimens" and scroll down. I was hoping I could get a little info on what effects a Hatch. Air Temp? Water Temp? A combination? I'm trying to determine the best time to catch a hatch on stream near me, as I have a small window to fish in on a short trip home. I am expecting to see Hendrickson's, as it's the right time of year (or so I have been told) for this stream. What's the best way to guess? Jason, thanks for the underwater photos of subvaria nymphs and the stillborn dun. Anyone looking at this thread may have to search for them a bit, (click on "There are 29 more specimens") but they are well worth the viewing! 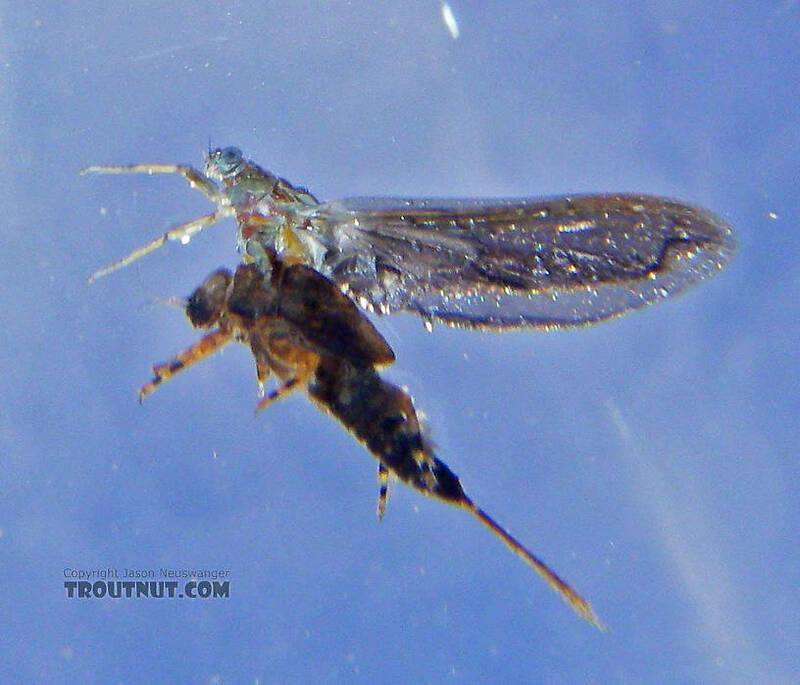 They have given me a better understanding of how to modify my upside down mayfly tie to better represent still born and crippled subvarias, and the underwater nymph pictures have confirmed my thoughts about coloration on flies designed to imitate subvaria nymphs. The photos are phenomenal, not like any bug photos I've seen before, in that they show the insects in a natural habitat.